Set up for Monday. Nice weekend, Stowa friends! CCCP and cheapshades2012 like this. do you guys realize that every single one of the marine orginals in this thread is white face? i just flipped through most of this thread and don't remember seeing one black one!!! i'm thinking of ordering a black dial. 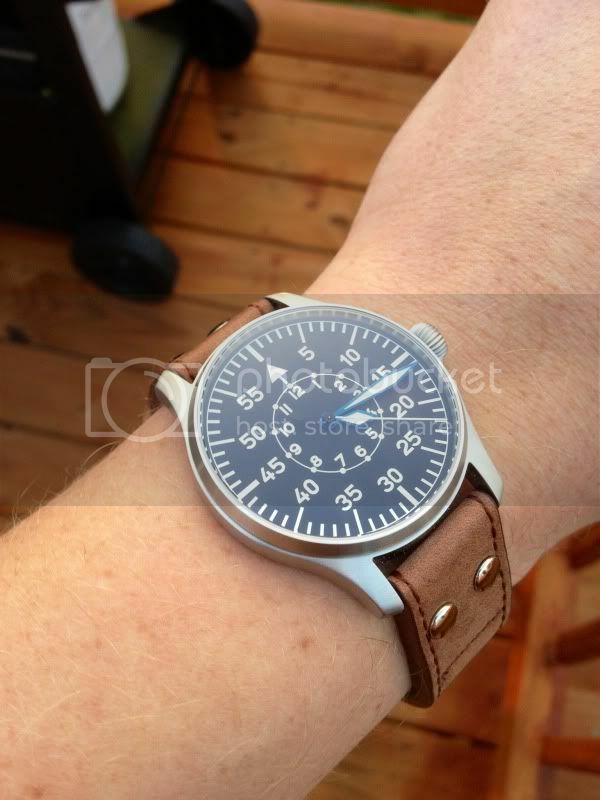 Just ordered my Stowa Flieger 6498. Now the long wait begins. Lexus050470, harrym71, knight427 and 1 others like this. 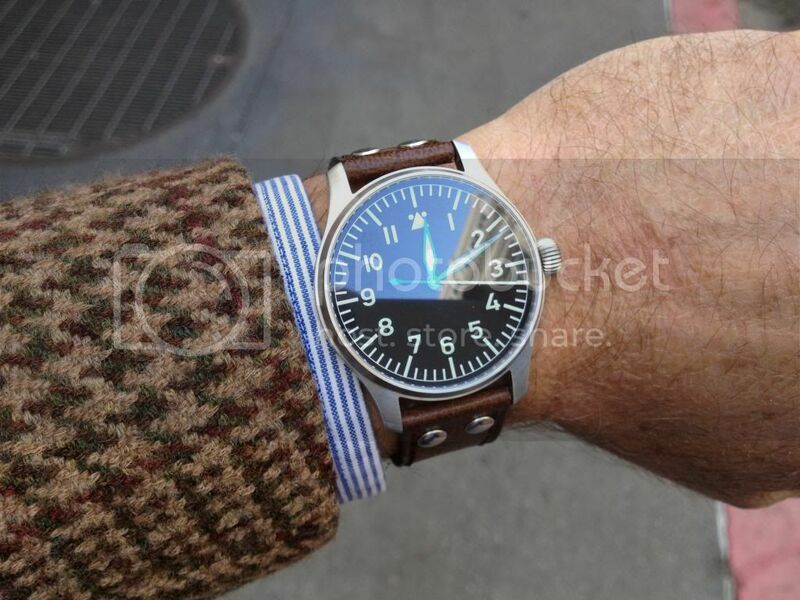 Flieger (no-logo, no-date, COSC) with Brown Strap with Rivets on 6.75" wrist. Really happy with this watch! Last edited by JohnM; February 4th, 2013 at 06:15.
gasspasser, harrym71, Renisin and 4 others like this. I am waiting for my Stowas...I'll post some snaps as soon as I get them...if I don't die of envy of the other members wearing some of the most beautiful time-pieces ever made!!! Lexus050470, drhr, Cheshire Mark and 1 others like this. just sold it, one last wear . . .
Lexus050470, gasspasser and cheapshades2012 like this. 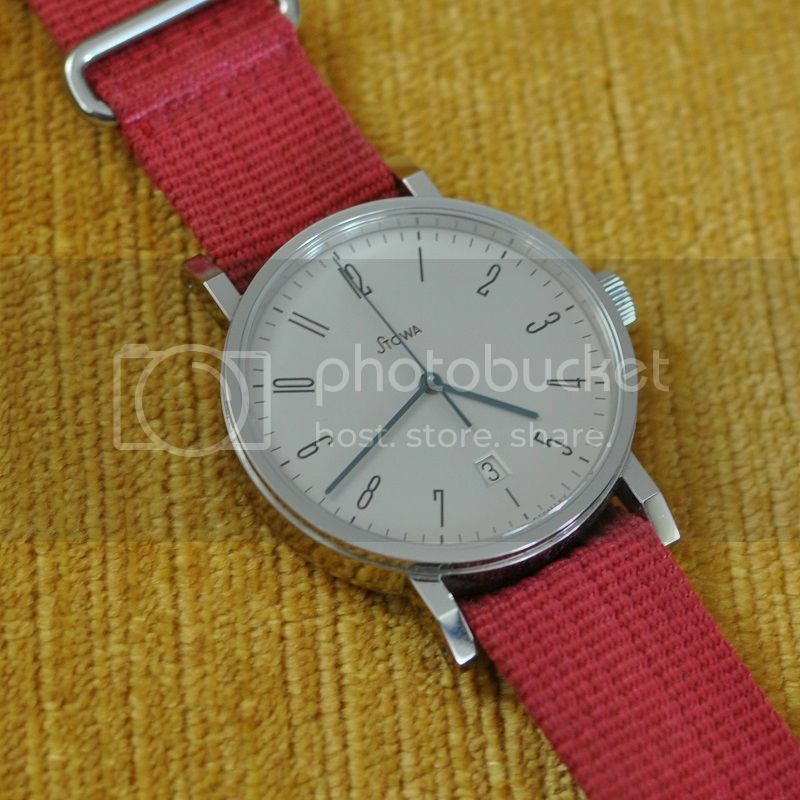 Exactly my point:) I am going to order MO with black dial and Roman numerals. Just cannot decide between polished and matt case... It would be nice to see some real time pictures of these!